Our product range includes a wide range of self adhesive sticker rolls. Backed by a our diligent team of professionals, we have been able to offer a wide array and quality assured array of Self Adhesive Sticker Rolls that are obtainable in various specifications to choose from. 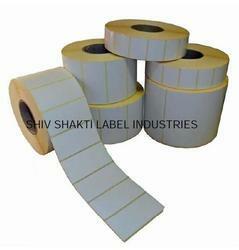 Offered sticker rolls are designed using high quality material and modern technology as per clients laid specifications. Offered sticker rolls provide holographic security to various confidential products. • Withstand high and low temperature FOB:70 MOQ:20000-1000 pcs.